Courtesy of F.C. Tucker Company. Welcome home to a prestigious Bridgewater masterpiece. Golf anyone? This fabulous home allures you as soon as you enter thru the two story entrance, stunning views of the pond with floor to ceiling natural light throughout. Open floor plan, 3 fireplaces, spacious main floor master w/ sitting room and exquisite master bath spa with Travertine tile. Imported Canadian Teak hardwood floors on main level with African Fantasy Granite in kitchen w/ morning rm. On upper level enjoy a spacious Jack-n-Jill bedrm, in-suite and hugh loft,+tons of storage. The walkout basement adorned with home gym, media and game rooms, wet bar, wine cellar and private bedroom suite. New stamped patio with stunning views of the pond, pergola w/fireplace. This is Home! 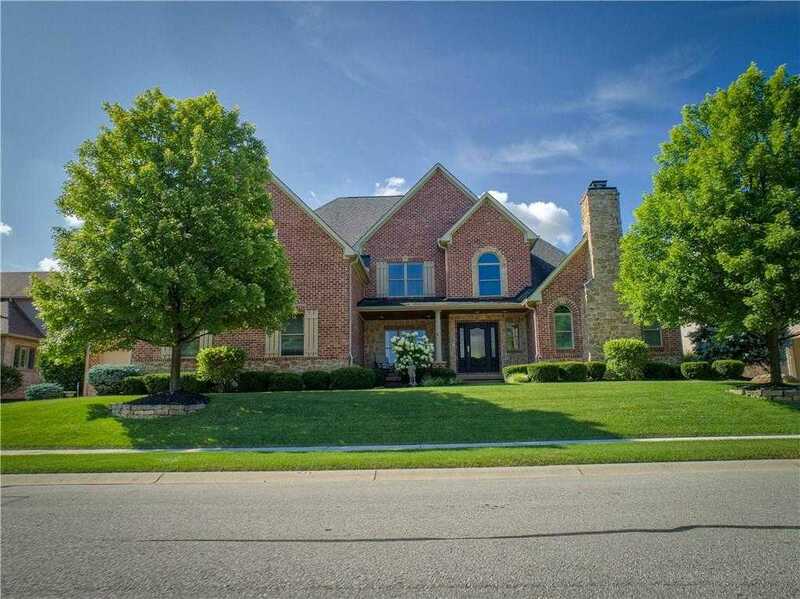 Please, send me more information on this property: MLS# 21617320 – $989,000 – 3751 Pete Dye Boulevard, Carmel, IN 46033. I would like to schedule a private showing for this property: MLS# 21617320 – $989,000 – 3751 Pete Dye Boulevard, Carmel, IN 46033.